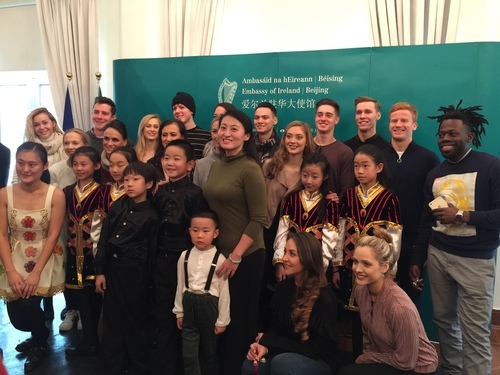 On December 14th,2017, the Ireland Embassy held a reception to celebrate the successful tour ofRiverdance in China. 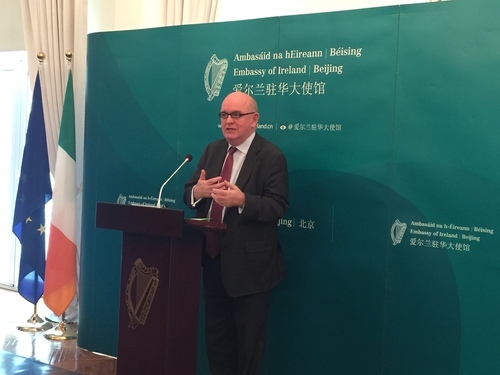 The Ireland Ambassador to China, Mr. Eoin O’Leary, gave aspeech to congratulate the successful tour of Riverdance and also thanked theChinese people for their welcome and love about the Riverdance and the Irishdance. During the reception, a group of kids who love tap dancing offered awonderful performance. And the Riverdance manager said that they areconsidering of opening the summer camp in China for those who love tap dance inChina. Our company (the International Project Department of RisingInternational) was invited to the reception.